When Homer Bailey takes the mound against the San Diego Padres this afternoon, it will have been two years since he last made a healthy major league start. His homecoming is welcome news. That’s the case whether Bailey is just another player to youÃ‚Â or perhapsÃ‚Â your favorite. And, make no mistake, HomerÃ‚Â Bailey isÃ‚Â back home. It must have seemed like a long time coming for the Reds pitcher. IÃ¢â‚¬â„¢m guessing here, but serious injuries like his have to be a massive disruption in the life of a professional athlete. Sitting out for that length of time has to be traumatic. ThereÃ¢â‚¬â„¢s the physical element of not being able to do what you could before. ThatÃ¢â‚¬â„¢s part of it. The mental pain has to be worse. Professional athletes make a huge investment of time and energy over large spans of their lives to reach the pinnacle of their sport. A big part of their identity and self-esteem is wrapped up in actual participation. Then injury causes them to lose that. Sure, there are a hundred million reasons no one has asked us to feel sorry for Homer. But waiting two years to get back to normal must still be quite a mental and physical challenge. Reliance on doctors, trainers and physical therapists is no substitute for personal independence or the camaraderie of teammates. Pile on top of that the natural, nagging, distracting self-doubt about the risk of re-injury. Homer BaileyÃ¢â‚¬â„¢s journey with the Reds began in 2004 with his selection in the first round of the amateur draft. He debuted with the big league club in 2007 at the age of 21. Bailey spent parts of the next few years bouncing between AAA-Louisville and the Reds. The canÃ¢â‚¬â„¢t-miss promise finally began to reveal itself in his last stretch of starts in 2009. Bailey’s 2010 and 2011 seasons with the Reds were limited by injuries. But the fundamentals were there. Bailey had an outstanding 2012 season,Ã‚Â pitching 208 innings with side orders of no-hitter and Game Three. He followed that up with an even better 2013, one that ranked him among the top 20 major league starting pitchers. Further, he finished in the top 15 in strikeouts-minus-walks and swinging strike percentage. BaileyÃ¢â‚¬â„¢s average fastball velocity of 94.1 mph was seventh highest in the major leagues. He did this over 209 innings, a second consecutive season without missing a start. Oh, and Bailey threw another no-hitter. Homer Bailey was never fully healthy in 2014. He started the season with a pulled groin muscle. Then he had a herniated disc in his back. He took a line drive off his jaw and another one off his pitching biceps. He fought through all that to make 23 starts before being sidelined with a season-ending injury to the flexor mass around his right elbow. In his final start, August 7 against Cleveland, Bailey pitched seven shutout innings with eight strikeouts and a walk. Surgery followed in early September. Bailey began 2015 on the DL, taking it slow. 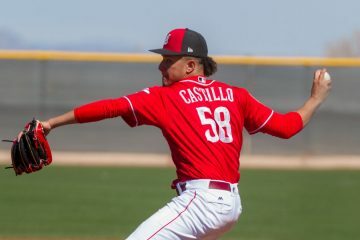 He returned to pitch for the Reds on April 18 and April 23 but it was obvious the tall right-hander wasnÃ¢â‚¬â„¢t healthy. A few days later Bailey was diagnosed with a significant tear in his ulnar collateral ligament and underwent UCL reconstruction on May 8. Bailey has been working his way back home ever since. On Monday, he threw 98 pitches in a final rehab start against the Charlotte Knights. 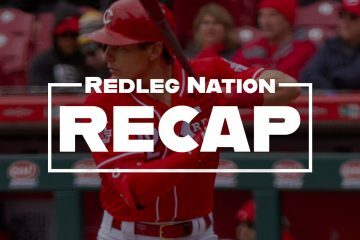 The Reds activated Bailey from the 60-day disabled list on Thursday. Today Homer Bailey reaches the end of this 2-year ordeal. What can we expect? Well, first of all, heÃ¢â‚¬â„¢s healthy. Thanks to new surgical techniques and rehabilitation protocols, success rates for Tommy John surgery approach 90 percent. Most of the failures are young pitchers who donÃ¢â‚¬â„¢t complete the rehab protocol. Stephen Strasburg and Jordan Zimmerman returned to the mound after 12 months. Jose Fernandez, Patrick Corbin and Yu Darvish made their first start about 14 months out from surgery. Research shows that the new elbow ligaments work as well as the old ones. Pitching production doesnÃ¢â‚¬â„¢t drop off after Tommy John surgery compared to previous healthy performance, taking normal aging decline into account. Aggressive post-surgical rehab strengthens muscles in the arm, so some pitchers see an increase in velocity. TJS patients also tend to experience a slower rate of aging-related decline. With a 2-year layoff it would be natural to see Bailey experience inconsistent command for a while. There’s no long-term ceiling for Bailey. You can put together a staff of TJS survivors that could fill an All-Star team if not a Hall of Fame. Adam Wainwright, John Smoltz, Tim Hudson, Chris Carpenter, A.J. Burnett, David Wells all enjoyed long successful careers after their procedures. One instructive recent comparable to Homer Bailey is Texas Rangers pitcher Yu Darvish. Darvish turns 30 in August. Bailey turned 30 in May. Darvish made his first post-op start on May 28, one year, two months and two weeks after his surgery. This afternoon, Bailey will be one year, two months and three weeks out. Darvish has started six games, averaging 86.5 pitches. His K% and BB% are already comparable to his career numbers. Darvish’s fastball velocity and swinging strike rate are a bitÃ‚Â better than before. AÃ‚Â different guy named Homer wrote an epic story we now know as The Odyssey. It chronicles the 10-year adventure of Odysseus, king of the island of Ithaca. In the course of finding his way back home after fighting in the Trojan War, Odysseus confronted and survived stormy seas, hostile deities and countless other challenges. The Odyssey is an allegory for the extremes that humans will go through to accomplish goals. In different contexts we all experience the journey of departure-trial-return akin to Bailey’s two years in the wilderness. When we get home, weÃ¢â‚¬â„¢re often changed by the long, hard trek. Those lessons taught by the ancient Greeks echo in our reality.Ã‚Â If weÃ¢â‚¬â„¢re lucky, perseverance and struggle will produce wisdom and spiritual growth. As with Odysseus, home itself changes while we’re gone. 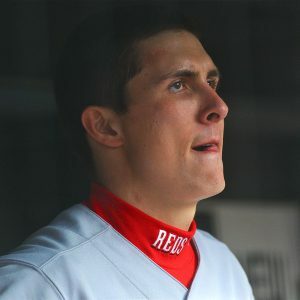 The Reds team that Homer Bailey pitches for today bears little resemblance to the one he played for the last time he was healthy. More transition is expected in the next 24 hours. Bailey will be asked to take on important leadership of the pitching staff. Perhaps all the time he’s had for reflection will make him better in that role. We donÃ¢â‚¬â„¢t know how much Homer Bailey has in common with HomerÃ¢â‚¬â„¢s Odysseus, other than a talent with bow and arrow. BaileyÃ¢â‚¬â„¢s journey lasted two years, not ten. The homeÃ‚Â he sought was neither LaGrange nor Cincinnati, but rather a big league pitcher’s mound. Odysseus did make it back to Ithaca. Then, with an assist from friends and family, he killed all the men who had been courting his wife while he had been gone.Ã‚Â Reds fans hope that, with the help of his teammates, Homer Bailey willÃ‚Â slay opposing batters just the same. Great write-up Steve. It’s crazy to think about how much boom/bust potential today has for the Reds. The temptation will be there to judge Homer’s return and the return on trade(s) immediately, though we all realize it will be a long time before we can really know anything about either. That won’t stop many Reds fans tonight from having the sweetest dreams or the worst nightmares! Quite the ode. Let’s hope Homer finally pays off for the Reds. Its good to have him back. Steve, as usual, beautifully written. This is the kind of writing sports needs for it is so often an apt metaphor for life. Sports, particularly baseball, exposes human successes, failures, and frailties. Baseball is both necessarily individual and communal. Odysseus’ story resonates because it is a human story, full of virtues and vices we all share to one extent or another. Homer (Bailey) is back. I was with my two grown sons and my college-aged daughter at GABP when he threw his no-hitter in July 2013. After the game, I hugged all three and said we will remember this day the rest of our lives. I love baseball. And I love the Reds. I will follow today’s game with great anticipation for Homer’s odyssey home. Steve, you have written many fine articles, but this one is , I feel, the best. It was objective, but I could “feel” your desire for Bailey to have a excellent outing. I’d like to see six innings and 85 to 90 pitches – with no health issues. It would be nice to have a six run lead when he exits, as most of our “good” relievers pitched last night (and I don’t mean Diaz). Go Homer! Steve has always been a dyed in the wool Homer guy, so I am sure he reeeeaaaallly is going to be hoping today goes well. Homer was barely more than a league average starter so let’s not get carried away today either way. Steve, beautifully written. This especially touched me as I have gone through a similar situation over the past several years. As a professional cellist, I was struck by a potentially career-ending malady affecting my right arm and hand (or “bow hand”), and I have been working through a very long, slow rehab process. Returning to playing was indeed very scary, as was the long period during which I could not actively play with my orchestra (or “team”). The parallel extends even further – as I regain my former abilities, I regain control, which I had lost completely during the worst of times. Thanks for sharing your experience. Best of luck with your continuing recovery. Wendydus: Best wishes for your full recovery. Music is the essence of life. Great story. As I reflect back on a snowy evening a few January’s ago on the Reds winter caravan tour, and how tight Homer Bailey and Bryan Price were on that night. I suspect that Price is ecstatic about having Homer back too. Can’t wait to watch the game. Well he may bounce back as I hope he does or he may not. Bailey certainly hasn’t looked so good in the minors during rehab. Would have.been nice to see him have at least one dominating start. he keeps pitching like today and I’ll be a happy camper. You could also fill several teams and several halls of failures who have had TJS. You’re looking at the glass being 1/8 full instead of 7/8 empty. Don’t get me wrong. I hope Homer does not only come back but become better than he was. For, that’s the only way we and he could justify that contract. No one can justify that he deserved that kind of contract prior to injury.